I am going to take the liberty to declare one word, newspaper, an oxymoron. That moment in time when you realize how contradictory a word is: news and paper. I mean, come on. Today, the two are definitely not synonymous. Most people are getting their news (as in Who, What, Where, When, Why and How) from anything but a paper: the internet, their cell, tablet and any other mobile apparatus that may come to mind. So if the “newspaper” is an oxymoron, what can one say about the “newsweeklies?” The words “news” and “weekly” maybe even a worse (if there is such a thing) oxymoron that the words news and paper. But, in reality, there are some “news” weeklies out there today that are more relevant than ever before. Believe it or not, today’s “news” weeklies are not your father and grandfather’s traditional grab-your-pipe-sit-in-the-wing-back-chair-and-yawn-through-the-read-type weeklies. Envision a three-legged barstool, draped in glossy black and white, with three titles wrapped around each spindly protrusion. The legs have always consisted of TIME, Newsweek and U.S. News & World Report. We have since seen the demise of the third leg: U.S. News & World Report, as a weekly magazine. And the change in Newsweek, from what it used to be, a magazine that featured a wide spectrum of information from politics to national breaking news stories, to what a friend of mine (who shall remain nameless) now refers to as “A British-Opinion” magazine, has made its ability to hold position iffy, to say the least. So, it is with the picture of this precariously-standing barstool in mind, that I would like to introduce to you the weeklies that, in print, are as relevant and important in today’s market as the latest Apple app waiting to take over your iPad. Leading the pack is the current first leg holder: Time Magazine. Under the leadership of Richard Stengel and his team, Time today is as relevant as it was when Henry Luce and Briton Hadden created it way back in 1923. In fact, the magazine coined the phrase “newsweekly” and has mastered the content and design ever since. In 2007, when Time was reenergized under Stengel’s leadership, it exemplified the phrase: glossy, intelligent weekly. And five years later, Time continues to be the leader of the pack. It is the only of the original so called newsweeklies to have earned its first leg status in this digital age and seems to have no intention of relinquishing it. However, it is now joined by two more weeklies that easily replace the leg U.S. News & World Report gave up and the one that Newsweek might as well let go of. Bloomberg Businessweek, under the leadership of Josh Tyrangiel, since late 2009, has gone way beyond business and has become the pulse of every aspect of our daily lives. From business to politics, all presented in a package that offers both candy for the eye and food for the brain, Bloomberg Businessweek has become a force to be reckoned with in the realms of weekly magazines. Engaging and captivating, the magazine now offers a weekly surprise that, though unpredictable, remains positively surprising week in and week out. And the last leg, last but least, the one now occupied by the weekly that may make that phrase prophetic, is The Week. Under the leadership of William Falk, The Week was, is and will continue to be, the Rolls Royce of all weeklies and the new “presidential briefing” in publications. Not big in circulation nor in number of pages, The Week, by design, remains slim and trim. That is one magazine where truly size does not matter and it is the quality rather than the quantity that counts. Since its inception in 2001, the magazine has been a welcomed innovation in weekly news magazines. Although, as I have just mentioned, it has a limited number of pages, The Week overflows with an unlimited creativity and editing, and it provides the complete round-up of everything that matters to anyone that matters. All three weeklies appear on your newsstand or in your mailbox on a Friday, prepping you for the weekend and really (to borrow a phrase from another great magazine, Mental Floss) make you feel smart again, without insulting your senses, all your senses, and by assuring you that they appreciate and value your time (no pun intended). Those magazines collectively are providing some of the best content and design that is out there, and are offering the biggest compliment a reader can get: a magazine that actually values YOU, the customer. So, before you bemoan the “news” weeklies or the entire magazine business for their woeful presence in this digital world, go grab a copy of the three mentioned magazines and see whether they do value your time and that they do treat you like a customer who counts rather than just being a number in the business of counting customers. And, please, no need to send me a thank-you note. Your enjoyment of the experience is thanks enough! Happy reading. P.S. : And for those who are going to say what about The Economist? It is a great must-read “news” weekly, but it is not, historically speaking, part of the three American newsweeklies… and that’s what this post is all about this time around. Sorry. Astute assessment as always. 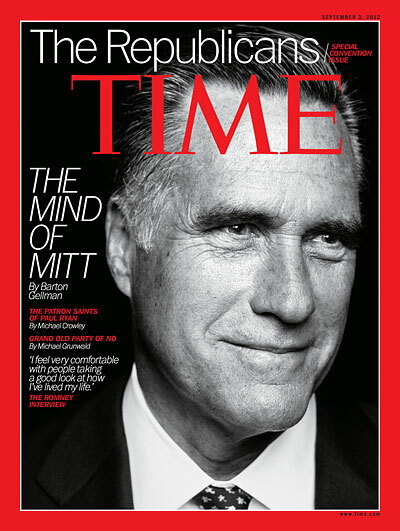 My problem with Time magazine is the price…$4.99 per copy. The flimsy & thin paper stock and lack of pages does not in my mind justify the price. I remember when Time, felt and looked like a “real” newsweekly….And you got your monies worth as well! I no longer buy any of the these magazines because the news is stale (as in at least 3 days old). At least a “newspaper” has news that is “only” 1 day old in comparison and is 70~ 80% cheaper to boot. The only hope I see for the Newsweekly’s is to focus on top notch reporters and correspondents giving us in-depth assessments and overviews of the PAST weeks news and educated guesses as to what’s next. Your analysis is insightful, but I wouldn’t call U.S. News & World Report’s exiting of the printed newsweekly business a “demise”. It’s been more of a transformation — to a successful web publisher that also publishes a weekly digital newsmagazine and some respected bookazines. The Economist is a weekly competing with the American weeklies. And it is doing very well with advertisng sales and has a strong subsription base. And for those who are going to say what about The Economist? It is a great must-read “news” weekly, but it is not, historically speaking, part of the three American newsweeklies… The Economist is competing for ad dollars, readership and subscription sales just like the other American weeklies. One thing I do agree with is good content. The size of the issue the type of paper does not matter. It is the actual content that counts. Reading quick news bytes on-line is fine. However, reading extended articles is much easiers to read and comprehend in print. So I do like reading The Economist over the other three.